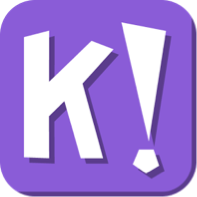 Kahoot was an app created for integrating technology into education. This free app is a game-based learning system that allows anyone to create multiple-choice quizzes. Teachers are able to use the app for quizzes in the classroom to see how well their students are learning. The app has feedback, rankings, and is available online. The app allows questions, pictures, and graphs for quizzing. Students can see their own progress without everyone in the class seeing it. This allows them to see what things they need to study and what they are doing well in. There are multiple ways a teacher can take control of the quiz. The quiz can always be edited and has many options for answering. The questions are all hand written as well. The students can write their own questions to study off of and the teacher can combine them into this app for the class to practice. It is great for formative assessments as well as just a regular study technique. The steps to starting Kahoot are in the tutorial below!